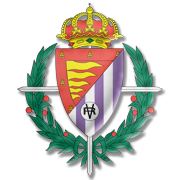 Following a 2-1 win at Eibar, Real Valladolid played out a 1-1 draw with Real Sociedad in their last league fixture. La Pucela are desperate to secure yet another La Liga survival and a win over los Sevillanos should see them move away from the danger zone. 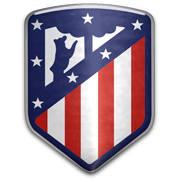 The Andalusian outfit, on the other hand, are eyeing a place in the Champions League and they are likely to stick to their attacking style of play against Real Valladolid. Sevilla are not regarded as good travelers, but they are definitely capable of beating the relegation-threatened side on Matchday 31. La Pucela are tough to beat at home, but given the importance of Sunday’s football game for los Sevillanos, away win should be considered. A man to watch in Pablo Machin’s team will be French attacker Ben Yedder, who is likely to pose a big threat for the opposition back-line. A Madrid-born attacking midfielder, Oscar Plano was given a unique opportunity not many footballers get at the beginning of their fledgling careers. As a talented youngster making his first football steps with a local side of Mostoles, Oscar Plano was soon grabbed by mighty Real Madrid. Having spent eight years going through youth setups of the La Liga heavyweights, Plano was given his competitive debut at Real Madrid C in 2010. A season later earned him a promotion to Real Madrid’s B setup where in three seasons in total he made 63 league appearances and scored 7 goals. Having become fully aware that a chance to represent one of the biggest clubs in the world might be unachievable, Oscar Plano moved to Alcoron in 2014. More than a 100 matches in three years at Santo Domingo made him one of the key players for Los Alfareros. The Spanish midfielder made a great contribution with helping Valladolid secure promotion to Spanish top flight in 2017/18 with 44 La Liga 2 appearances and 6 goals.